At Shadbolt, we appreciate that Continuing Professional Development (CPD) plays an important part in staying up to date and informed with all relevant best practices, standards and innovations in the built environment. In order to assist with CPD, Shadbolt can provide CPD seminars on any subjects incorporating the specification of doors, panel linings, WC cubicle interiors, veneers and finishes. 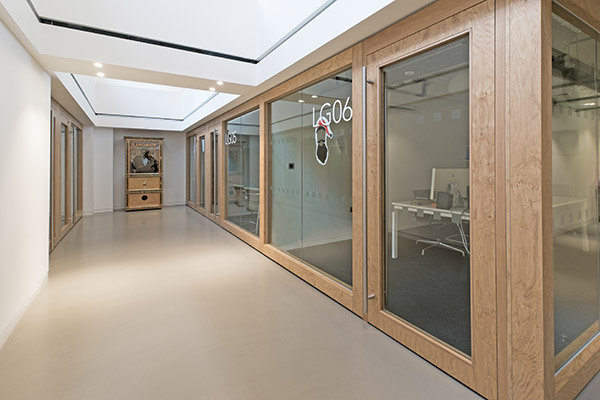 With over 130 years of expertise and experience, Shadbolt are ideally placed to provide you with CPD seminars on subjects such as timber doors, panel linings, WC cubicle interiors and the whole veneering process. Whether at your offices or combined with a Factory Tour at our premises in Braintree, we are sure you will find the experience highly informative and effective. Our CPD seminars are created bespoke for your audience and their requirements, so why not get in touch to discuss a CPD seminar from Shadbolt.